#News24 ICYMI: Sassa warns pensioners of holiday scams; Obama dons a Santa outfit; and What does 2019 hold for SA? Pietermaritzburg police are appealing for information on a Cato Ridge woman and two of her accomplices who are allegedly involved in property scams involving millions of rands. The woman, whose name is known to The Witness, has allegedly scammed people from Pietermaritzburg to Durban, with the help of her two accomplices, a man and a woman, whose names are also known to The Witness. Police have said the woman contacts people who are interested in buying a property in Cato Ridge that was “repossessed” by a bank. She then meets with the people to show them the lot. Police said she tells people she has a contact at a bank branch in Durban who will help with the sale of the property, all the while urging them to make payments and deposits on the plot. The accomplices allegedly then call the people interested in buying the property, convincing them they are representatives of a bank and the sale of the repossessed land is genuine. A Pietermaritzburg woman who opened a case against the woman after she was scammed spoke to The Witness on Wednesday, saying her struggle started around four years ago. She said she opened a case against the woman two and a half years ago, after she realised she was being scammed, and that more people had come forward to the police to report almost identical scams. 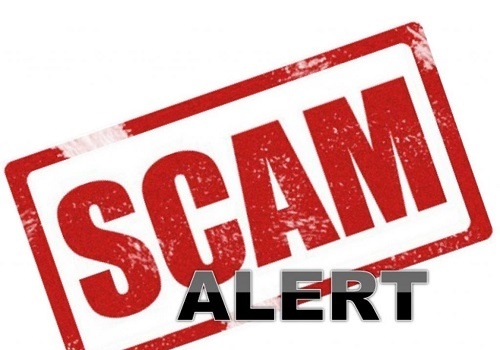 The woman said the scam artist had told her she had a contact at a bank and could sell her vacant land in Cato Ridge that had been repossessed by the bank her “contact” was working for. “I went with my dad to meet her and view the property. She is quite charming and very convincing. “The woman is well dressed from her fingernails to her hair to her toes, and is well-spoken. The woman said as soon as she showed interest in the lot, she was pressured into making a deposit of R35 000 into the fraudster’s bank account. She said the woman kept refusing and she eventually called the deeds office where she discovered the property was not in the woman’s name and belonged to a nearby petrol station. “I called to confront her and she just stopped taking calls. I even went to her house but people kept saying she was not there. I still have not got my money back. “I may be one of 20 or 30 victims. Just discussing the incident with colleagues, I found a couple in Pinetown who had experienced the same scam as me, same people, same modus operandi,” she said. Pietermaritzburg police spokesperson Sergeant Mthokozisi Ngobese confirmed that three cases had been opened in Pietermaritzburg against the woman within the last two years and that the total amount that was taken from the victims altogether is R2 million. Should you have any information on the matter, please call 033 845 2732.